In the spring of 2017, the U.S. economy is rebounding under President Stacy Anne Barbeau, the country’s first female president. But her leadership is about to be severely tested: Russian president Gennadiy Gryzlov has sent Special Troops, disguised as pro-Russian activists, into Ukraine and Moldova. Though NATO is outraged, its response is tepid. Refusing to let Russian aggression go unpunished, former U.S. president Kevin Martindale approaches Polish president Peter Wilk with a radical solution: a counterattack using a covert force of Cybernetic Infantry Device (CID): manned robots. 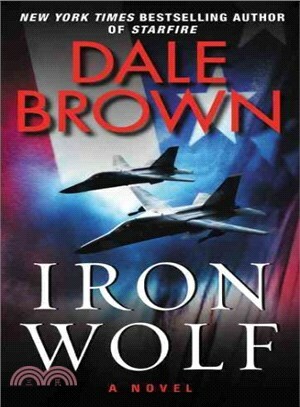 Underwritten by the wealthy Wilk, Operation Iron Wolf is launched—without the knowledge of the Americans or its NATO partners. The CID’s initial strikes are successful, infuriating Gryzlov and propelling President Barbeau to pledge western help to investigate the attack. With international tensions at the boiling point, Martindale’s secret alliance, supported by the best military technology, is determined to outmaneuver the Russians.